We have recently launched Easy Blog Schoolwide this year at JIS Elementary. I am so excited to get this moving. We trialled the app last year in Grade 1 and made the decision to roll out EYP to Grade 4 this academic year. Every child from EYP to Grade 4 now has their own Easy Blog. This is accessed via their iPad. I am a huge fan of the app that has been developed by a group of teachers at the Western Academy of Beijing. The best part of Easy Blog is that it is visual and very simple to use and it doesn't take up very much time to make a post. Students can post as they are learning. Parents are connected and will get to see learning in real time as it is happening. Parents get a notification each time there is a new post added. They can easily view the blog on their smartphone. This makes it possible for the parent to see their child's learning anywhere, anytime. Over the last couple of weeks, classes have started blogging. The students have been making their first post and creating an avatar for their profile. What is really interesting is how the accessibility settings in an iPad can open up so much for young learners and for those needing support as new learners to English. The students are able to add a keyboard in their iPad for their mother tongue. This means that they can dictate and the iPad will type in their language. 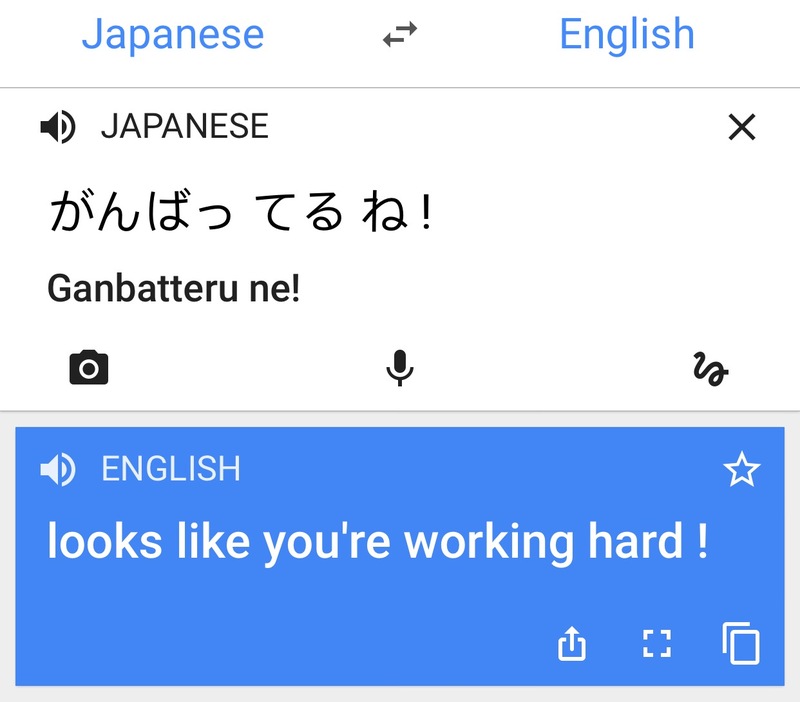 Being able to work like this in two languages helps learners make important connections. As young learners often struggle with typing, the dictation offers them a way to type quickly and to practice reading back what has just been typed by the iPad to check for errors. This also means that when parents comment in their mother tongue on blog posts, the child can respond in their mother tongue too. The iPad is able to read aloud comments in different languages, but it does take a bit of setting up. 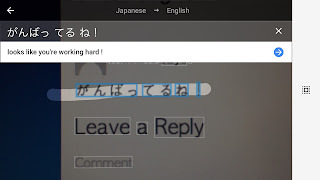 A simpler way for young students to hear comments read aloud in languages other than English, is to capture with another device (their friend's iPad) and let Google Translate read the comment. Once you have used the Google Translate app a couple of times, it becomes more fluent and can translate even faster. 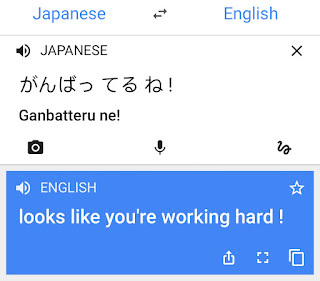 Here is a screenshot of Google Translate capturing the text from a screen. I tap the photo button and take a photo. Then I highlight the Japanese text with my finger to get Google to translate it. Next, I tap the blue arrow to bring it to this screen where I get a sound button to read the comment aloud in Japanese allowing the young child to hear what has been written. This is so exciting and so accessible. I can't wait to see it develop across the school. Today already I am watching comments being posted from parents in different languages.